Waze is letting its global users show their national pride as the Summer Olympics kicks off in Brazil this week. Given the continued health and safety concerns about Rio’s readiness to host the Summer Olympics, which runs from Aug. 5 through Aug. 21st, the best place to experience the games may be anywhere else. Waze is hoping to make the driving experience in the Brazilian city bearable at least with a microsite showing real-time traffic based on key zones around the Olympic Village that anyone can access. At the same time, Google-owned Waze is giving its 55 million global users the ability to employ a “coach voice” to provide navigation along their daily routes. In addition, users can (virtually) join their home country’s team. 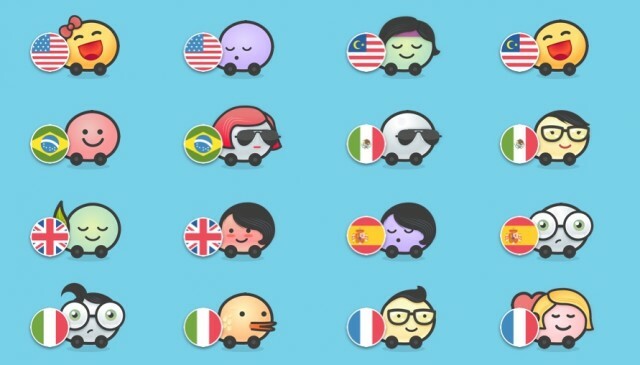 The driver’s Wazer icon will display any country’s flag in-app. With headlines about Rio’s pollution and the dangers of the Zika virus overshadowing the athletic competition, it looks like traveling might be the main bright spot. While Waze itself is not a sponsor of the Summer Olympics, it is working with Rio’s transportation center. Aside from driving, visitors to Rio should also have a more pleasant experience making their way through the city’s airport. Last month, RIOgaleão-Tom Jobim International Airport, the official airport of the 2016 Summer Olympics, received a major wireless upgrade from Hewlett Packard Enterprise-owned proximity platform Aruba Networks. The airport is offering travelers a new mobile app powered by Aruba’s Meridian platform with a primary focus on wayfinding features to help travelers coming from all around the world get around the terminals’ 100,000 square meters of space.